Considering I used to spend every weekend in an art gallery (in fairness I did work there) it’s been far too long since I last visited an exhibition. On a sunny Saturday, in search of an afternoon of culture, I headed to the Royal Academy for their 2018 Summer Exhibition. Curated alongside Greyson Perry, this year’s exhibition was always going to be a splash of colour and design. I love the way the Summer Exhibition is created, art is suddenly everywhere, a mix-match of style: landscapes and portraits, still life and photography. Even politics and brexit got a mention. It was full of expression, of discussion starters as it evaluated life in the here and now. Everywhere you looked there was something to catch your attention. Larger works of art sitting loud and bright, smaller pieces that needed to be spotted, sculptures, textiles, models and videos. There was even a bar. This may be my first Summer Exhibition, but I’ll be back for 2019. Friday evening saw me taking advantage of the V&A’s late opening and head to their Shoe: Pleasure and Pain exhibition. Although I’ve had an interest in fashion for quite a while, I’ve never thought shoes had the same appeal. That for some reason they weren’t as detailed, descriptive of really differed from one another. I have been clearly proven wrong. Shoes throughout time have altered with fashion, and as our tastes change we’ve gained shoes of every shape, colour and texture. Shoes with platforms, heels and straps. Shoes made for the tiny binded feet of Chinese woman. Shoes that showed status through their inability to allow you to walk. There’s such a history to our fashion choices, with reasons behind our choices of style that we mostly remain oblivious to. 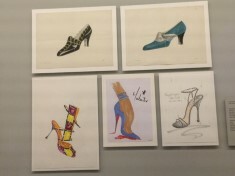 The exhibition portrayed the story of the shoe, not just in its evolution and history, but the designing and manufacturing processes. We were given an insight to the designer’s world, explanation to why a heel shape is chosen or a range is created. 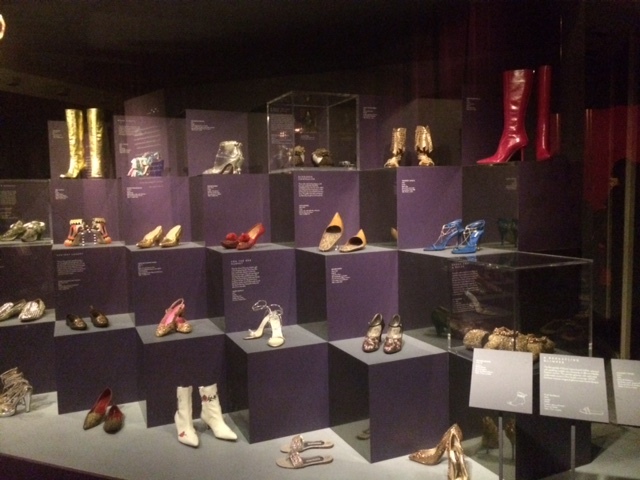 Following the organised and aesthetically pleasing style, the V&A is famous for, this exhibition, regardless of your knowledge of shoes, is a must. 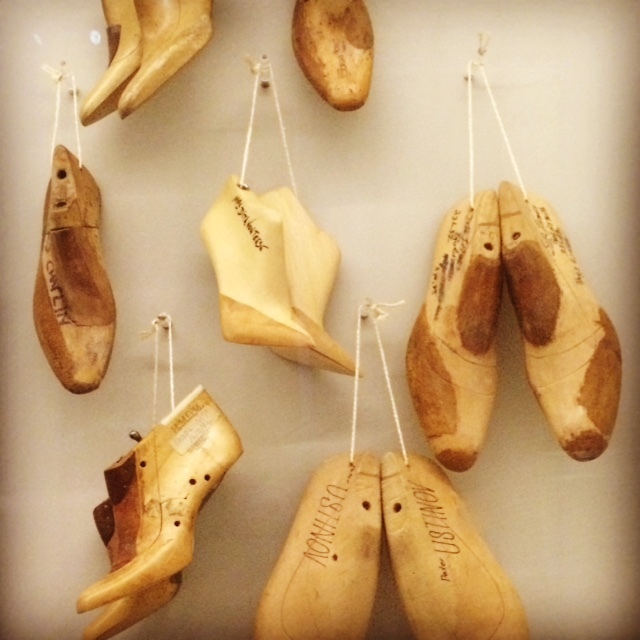 Shoe: Pleasure and Pain is at the V&A until January 2016.